A fire captain investigates. Photos by Aric Aczel. 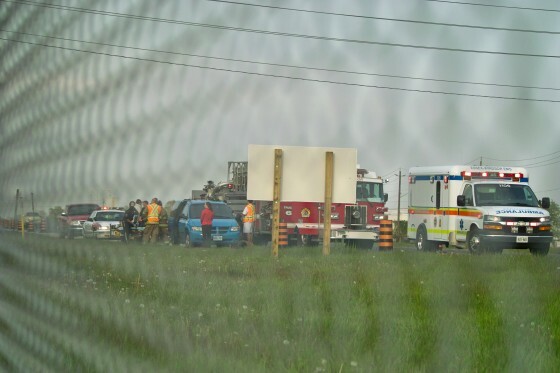 A two vehicle collision occurred Thursday on the EC Row expressway just before the westbound Lauzon Parkway off-ramp shortly after 7pm. 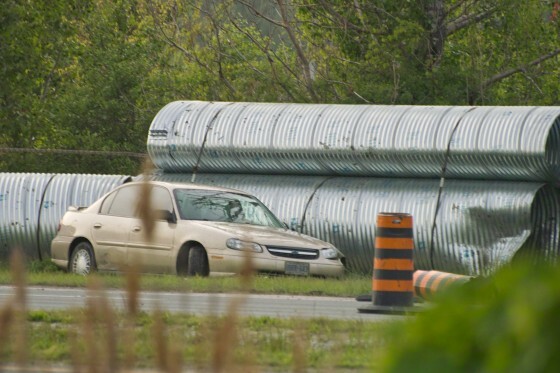 One vehicle involved, a Chevy Malibu, spun off the roadway and crashed into some metal pipes on the side road. One patient involved was transported to hospital to be treated for injuries that appear to be non-life threatening. 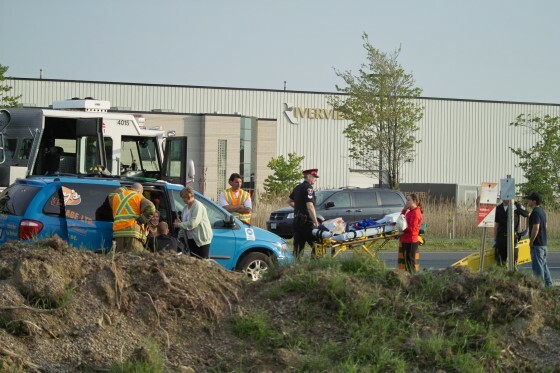 Emergency crews tend to one of the patients injured in a 2 car collision on the EC ROW Thursday evening.